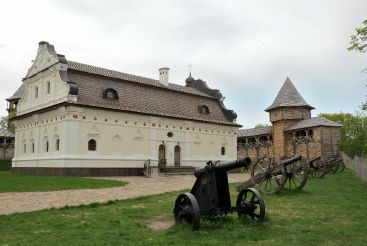 Baturyn, a historical residence of the Ukrainian Hetmans, a city-reserve, an archaeological relic of the Cossack era, is located in Bakhmach district of Chernihiv region. 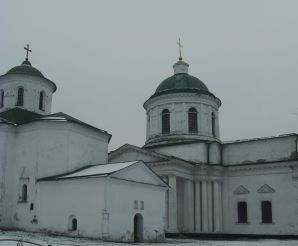 It is a unique land, which just a few centuries ago housed the residence of Ukrainian hetmans Ivan Samoilovych, Ivan Mazepa, Kyrylo Rozumovs’kyi and Demian Mnohohrishnyi. 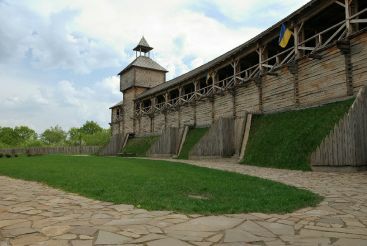 And today you can visit here the National History and Culture Reserve "Het’mans’ka stolytsya", founded in 2003. 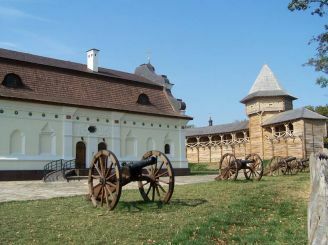 In the reserve you can see priceless monuments of history, architecture, culture, and archaeology, such as the Citadel of Baturyn Fortress’ Complex, the Kyrylo Rozumovs’kyi Palace-Park Ensemble, the House of General Judge Vasyl’ Kochubey, the Baturyn Archaeology Museum, the Resurrection Church-Burial Vault of Hetman Kyrylo Rozumovs’kyi, Intercession of Theotokos Church, Kochubey Park, Baturyn Orthodox Mykhola-Krupyts’kyi Nunnery, the Monument to Baturyn Tragedy of 1708, the Tomb of Petro Prokopovych – a founder of domestic science about beekeeping, an inventor of a frame hive, etc. 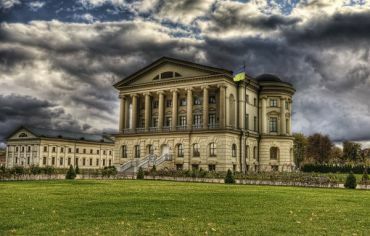 The most interesting attraction of the History and Culture Reserve is considered to be Kyrylo Rozumovs’kyi Palace, who used to be the last hetman of Ukraine. 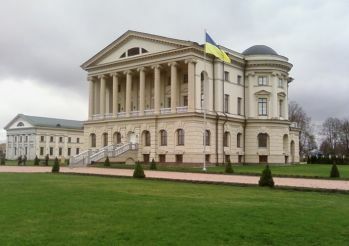 This building is the sole creation in Ukraine of famous English architect Charles Cameron. This three-stored palace in the Classical style harmoniously rises in the picturesque park, which project was developed by famous architect Antonio Rinaldi. 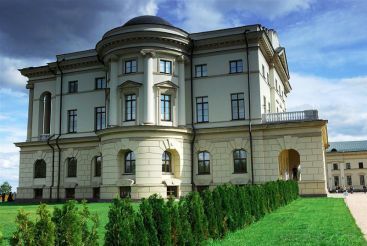 Since recently, Kyrylo Rozumovs’kyi Palace is open for tourists. If you visit it on Wednesday, you’ll have a great opportunity to listen to favourite pieces of classical music of the last hetman of Ukraine, played the Lauberger & Gloss Piano of the late 19th century. By the way, just outside the palace, you can climb the entrance tower of 29 meters high, expecting from its viewing platform a unique view of the Seim River Floodplain. The Citadel of Baturyn Fortress is another unique monument so attractive for tourists. 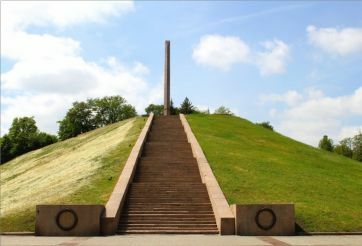 It is an architectural memorial complex to remind us of how the most fortified part of the city fortress looked like in 1669-1708. 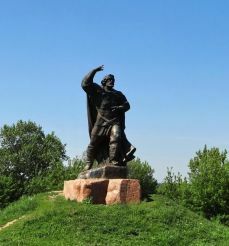 This is where you can find the Monument to Heroic Defenders of Baturyn, who died in 1708. Another place reminding us of those times is Resurrection Church – a wooden castle church, where women and children hid during the defence of Baturyn. Finally, the complex represents the realities of brick architecture of the second half of the 17th century, and aesthetic tastes of the first Baturyn hetmans – Demian Mnohohrishnyi, Ivan Samoilovych and Ivan Mazepa. You can get to the National History and Culture Reserve "Het’mans’ka stolytsya" by public transport. First, you should go by train or commuter train to Bakhmach or Konotop, and from there you can take a bus to Baturyn.